I was born in Guatemala, a small country in Central America. I graduated from San Carlos University of Guatemala as a Bachelor in Biology in 2010. At the end of my undergraduate studies I did an internship at the Smithsonian Tropical Research Institute, where I worked in a Stanford University’s project that aimed to study the effects of mammal defaunation in the tropics. 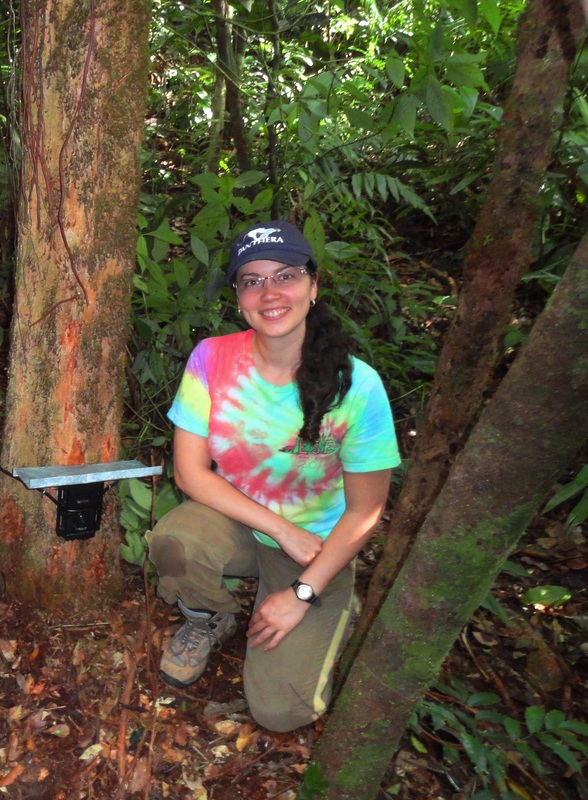 During this internship I carried out my undergraduate thesis, which focused on the poaching effects on mammal assemblages and seedling herbivory and trampling in the Barro Colorado Natural Monument and Parque Nacional Soberania in Panama. In 2012 I studied a MSc in Conservation Biology at the College of Environmental Science and Forestry of the New York State University (SUNY-ESF). My graduate thesis involved a field validation of a Guatemalan jaguar corridor for movement, which is part of Panthera’s GIS modeled corridor that connects jaguar populations throughout the species range. In 2015 I studied the Postgraduate Diploma in International Wildlife Conservation Practice at the University of Oxford, a specialized program that focuses on carnivore conservation. My research interests lie in the field of behavioral conservation. I am particularly interested in studying adaptive behaviors in carnivores and how these are impacted by anthropogenic disturbances, with a special emphasis on how this knowledge can be integrated into design behavior conservation management strategies. My research work has focused on the movement and spatial use of felids such as the jaguar (Panthera onca) and the African lion (Panthera leo), on how these species use the landscape and how they are affected by diverse anthropogenic disturbances. My future research interests lie in the development of ecological models, such as individual based models (IBM), to aid in the understanding of the underlying mechanisms of the species’ space use and the prediction of how carnivore populations may respond under different scenarios of environmental change. After my MS studies I worked with Panthera on the Jaguar Corridor Initiative in Guatemala. The main focus of this project is the long term conservation of jaguar populations in eastern Guatemala, using a holistic strategy based on ecological research, capacity building and the promotion of local partnerships between jaguar conservation stakeholders. While I am still collaborating with the Jaguar Corridor Initiative in Guatemala, I am currently working full time as a research assistant in the WildCRU, studying how anthropogenic mortality affects the social and territorial stability of African lions (Panthera onca) in Hwange National Park, Zimbabwe.